My name is Julia Williamson and I’ve studied many healing modalities such as Deep Tissue and Swedish Massage, Reiki and Shamanic Healing but specialise in Lomi Lomi Massage. It’s been the most requested and effective treatment at my practice over the past seven years and allows me to bring all of my expertise together to give you the best massage possible. I understand how stressful our lives can be, previously working within I.T and Finance for large organisations and experiencing the pressure many business professionals are under. The most rewarding aspect of my job is witnessing the transformation of my clients, who often suffer from stress and anxiety and aches and pains from long work days and many hours driving. It’s a condition many people accept as a normal part of modern life and don’t realise how much better they could feel with regular massage sessions. It is vital to regularly schedule some time to rest and restore your energy. At Healingmoon you have an invitation to rest in a calm sanctuary, away from life’s demands and have someone listen carefully to you and your body. 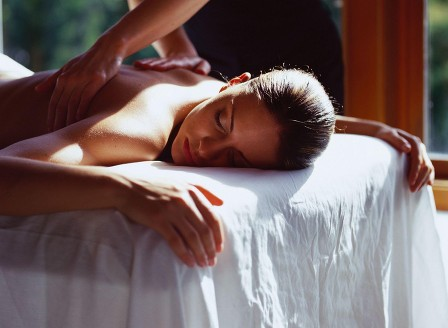 You will experience a unique customised treatment and be nurtured back to full health.